As Hiroshi Fujiwara gears up for what looks like another fragment design x Air Jordan collaboration, &apos;heads who missed out on his first project may want to take a closer look at these upcoming Jordan 1.5s. Officially dubbed "White/Black-Soar," this colorway is basically a flip of the "Black Toe"-inspired "Fragment" blocking. Swapping the black overlays for royal blue — or "Soar," in this case — and vice versa, the result is a look that should be similar enough to satisfy those who are still hungry for the Fujiwara-helmed design. Of course, it&apos;s also important to mention that the Jordan 1&apos;s traditional rubber midsole is replaced with the tooling of the Air Jordan II on this silhouette. 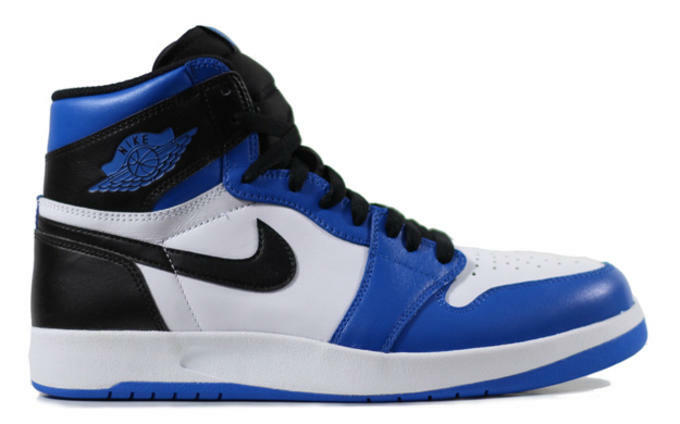 Considering the exorbitant asking prices for "fragment" 1s, copping these 1.5s shouldn&apos;t be seen as settling for less, but rather spending your cash wisely. Priced at $150, these will be dropping on Saturday, October 17.